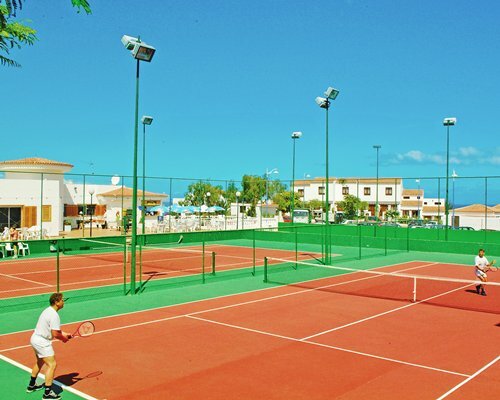 This resort offers relaxation at its best and is great for couples and families. 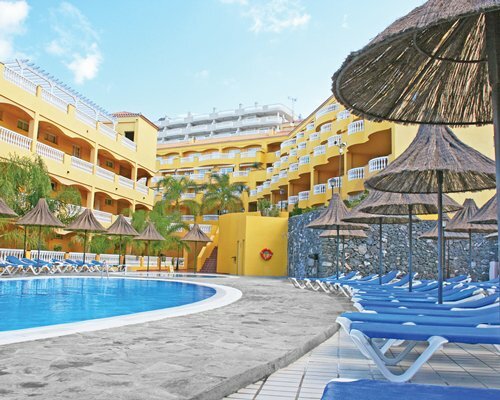 The resort is structured around the heated pool and children's pool, and there are plenty of comfortable sunbeds around the sun deck to make the most of the year-round sunshine. 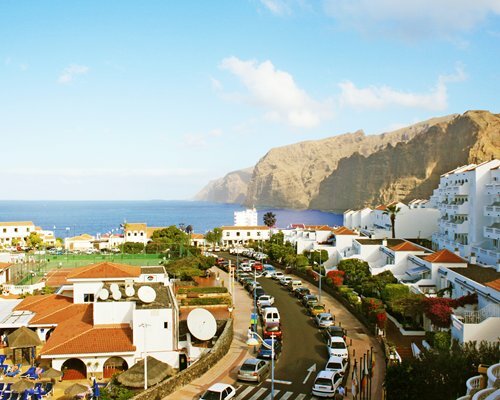 Located close to the enchanting cliffs of Los Gigantes and the beach, there is spectacular views of the cliffs and Atlantic Ocean from the resort. 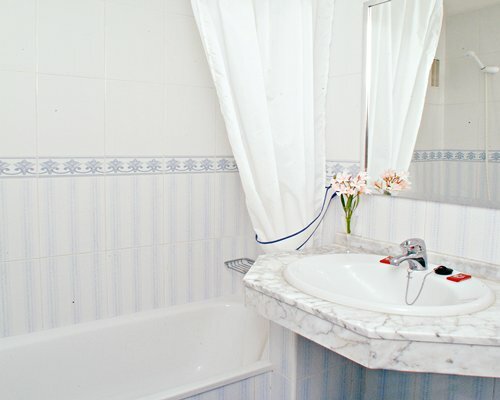 The apartments at El Marques Palace are comfortable and stylish with one- and two-bedroom units available. 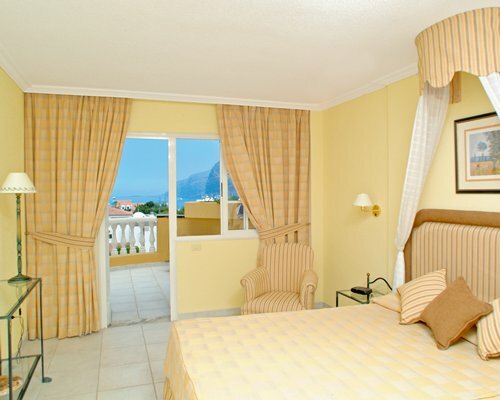 The apartments at El Marques Palace are impeccably clean, comfortable, and stylish. 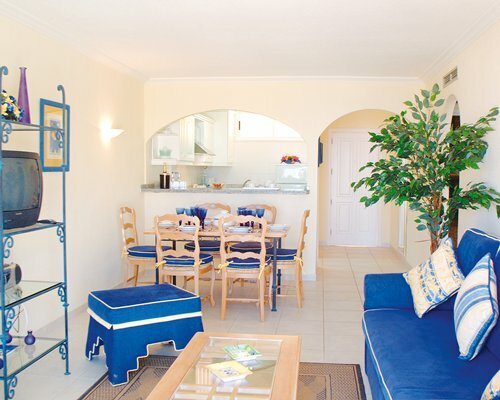 The resort offers one and two bedroom units. 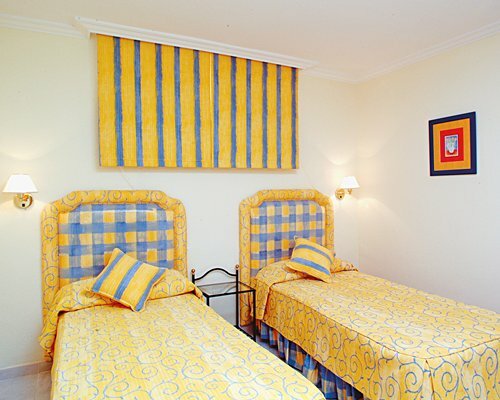 The two bedroom units can sleep up to six people comfortably. 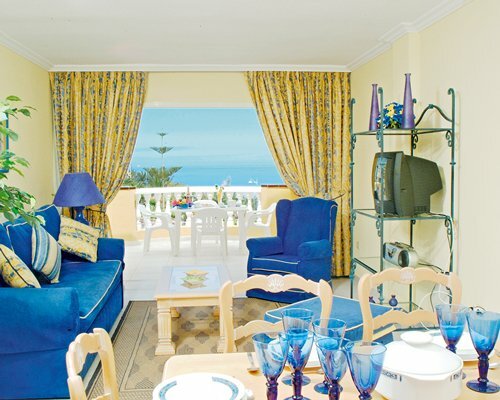 Eat breakfast on your balcony overlooking the sea or poolside. All units include a full kitchen for cooking and storage, microwave, telephone, and air conditioning. This resort is the ultimate in island relaxation. You might not ever want to leave! 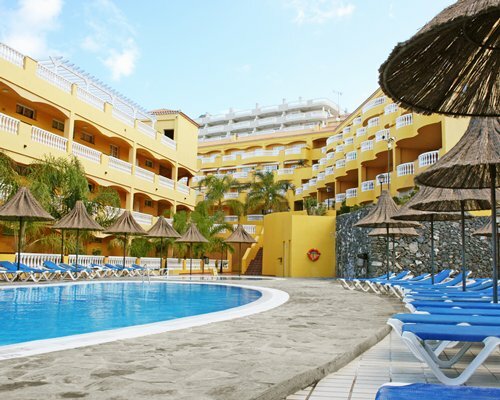 El Marques Palace is located on Tenerife, the largest of the seven Canary Islands. Explore this famous island's magnificent beaches, museums, restaurants, and entertainment. 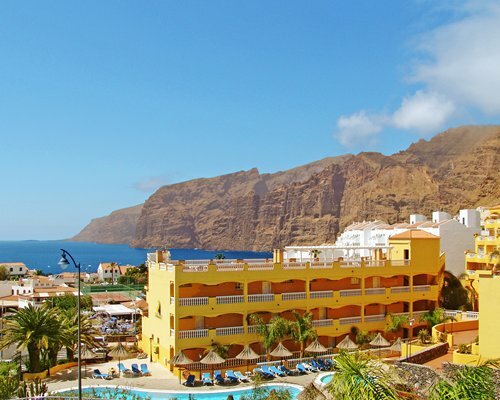 El Marques Palace is located near the enchanting cliffs of Los Gigantes. The beach, only a short walk away, offers water skiing, scuba diving, and boating. Golf courses, gym, casino, grocery store, medical facility, and restaurants are nearby. 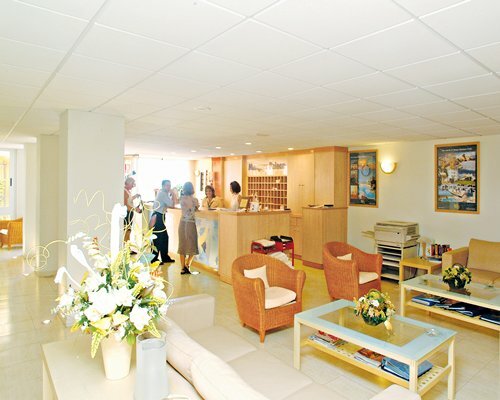 Book a car rental at the reception desk to explore this wonderful area! 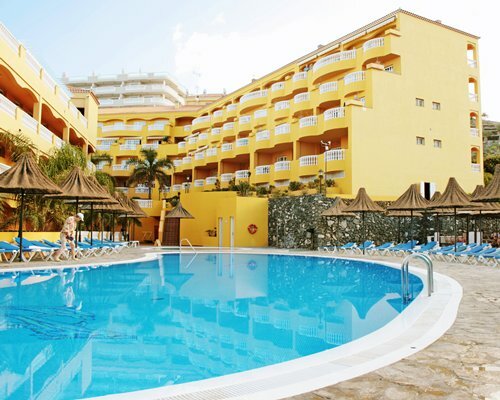 BY AIR: Nearest airport: Reina Sofia - Tenerife Sur- 44kms;then take a taxi or hi re car to the resort. 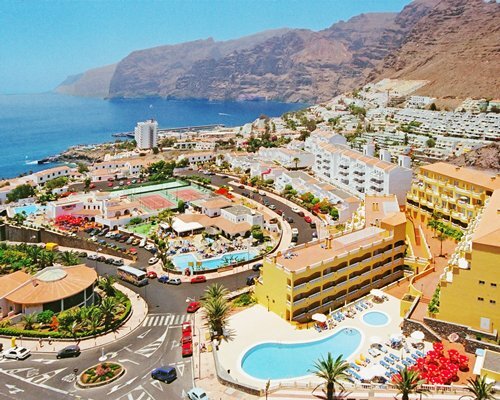 BY ROAD:From the air port take the motorway initially following signs for Los Cristianos/Adeje.Then follow the signs to Playa San Juan/Los Gigantes proceeding north-west for 21 kms. At the T - junction of Tamaimo and Los Gigantes, turn left downhill. Bear left where the ro ad forks and El Marques Palace is on the corner on the right. (Please note there are turnings prior to this but one-way. There is also an airport in the North of the island, approx 110km. from resort.